Do we post about everything we make? 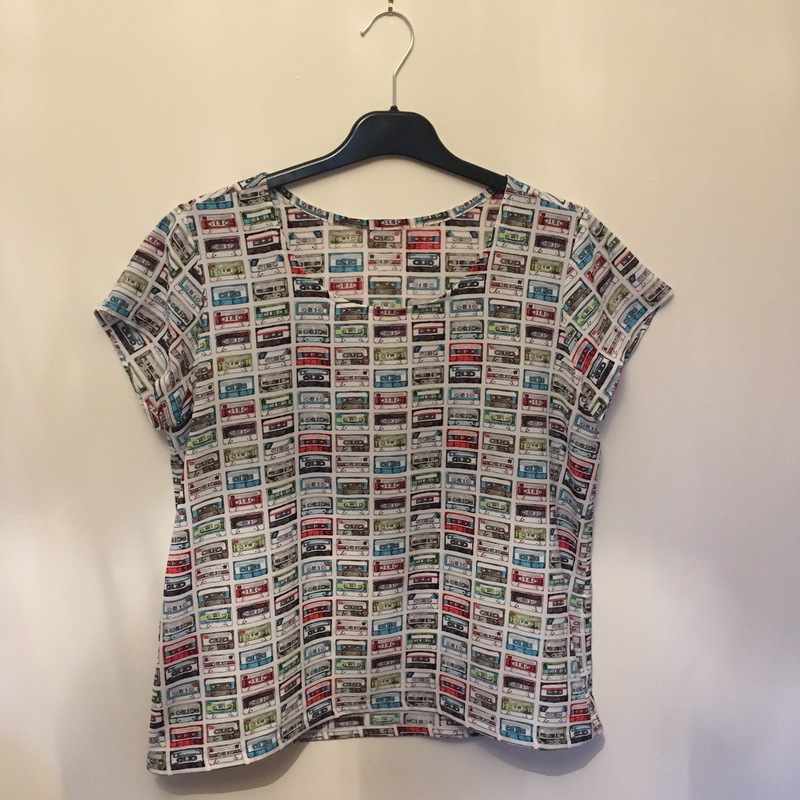 I’ve been busy adding to my handmade wardrobe… just a couple of bits that I’ve made before. I wasn’t sure whether to put them up on the blog though, even though they’re both very awesome, because I’ve nothing new to say about them. Anything interesting I think you should know: the fabric is quite nice. It’s got lots of little cassettes on it. It’s a very silky viscose I bought in Flamingo Fabics. But other than that it was a pleasant but very uneventful sew. Are we seeing a pattern here? Mind you both of these have been really lovely fabrics. This was something I found on eBay a year ago but wasn’t sure what I was going to make with it. It’s got a lovely texture and is actually really freakin warm. 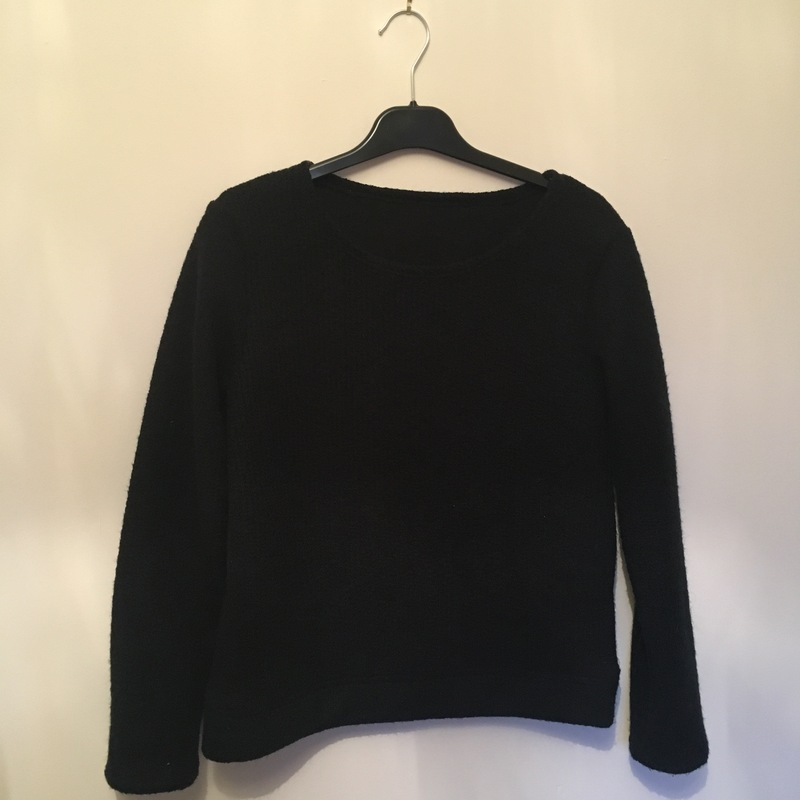 It makes a perfect cosy jumper. 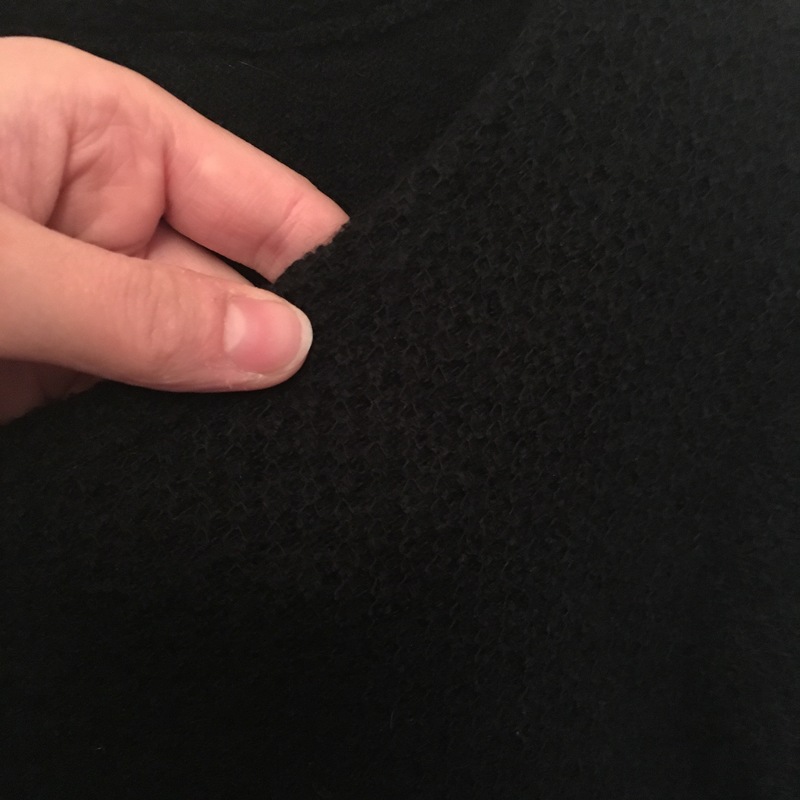 Usually when I finish a garment I get really excited about putting it on the blog, reporting on the pattern I’ve used and showing off something new. Repeats of patterns are a strange thing because while I love them and they are all very different, it feels like the only thing worth talking about is the fabric. Should that be enough? Or when patterns are re-used with no modifications does it all just get a bit same-ey? 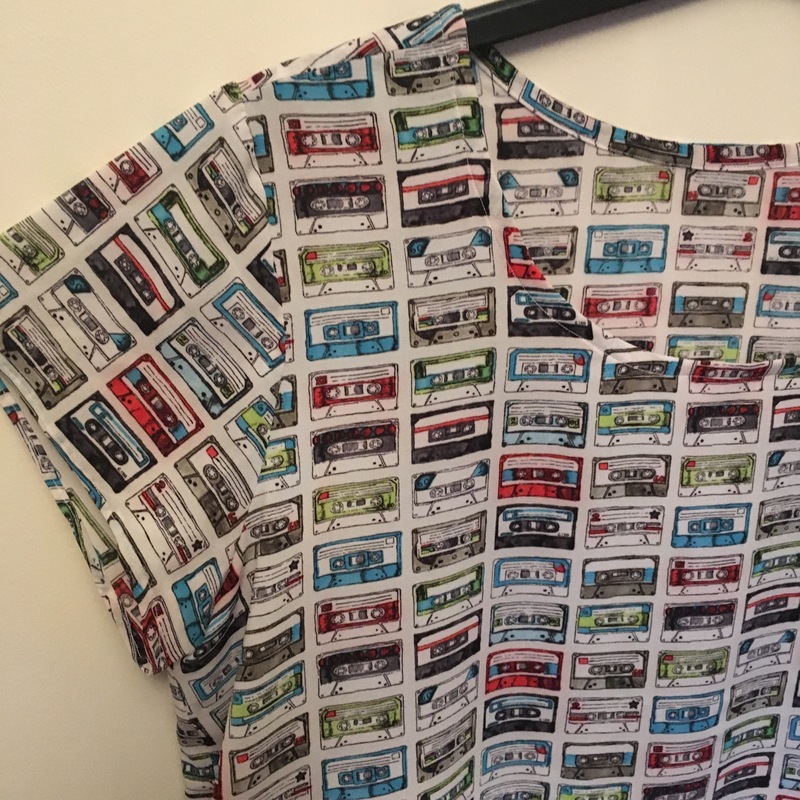 I might start writing a ‘pattern is exactly the same but check out this awesome fabric’ post. Yeah… that sounds like a good idea. Previous Post A new baby you say? I’m blogging about almost everything I’ve created but I do not write much about it. Some posts I try to write a little more about how I’ve made it and my opinions about it.